Wyoming, SHMYOMING! I know Colorado when I see it. We need higher resolution versions of the pictures behind the T.V. Third panel, Millie’s home. Pink and white striped wall paper? Millie’s duck atop the telly! 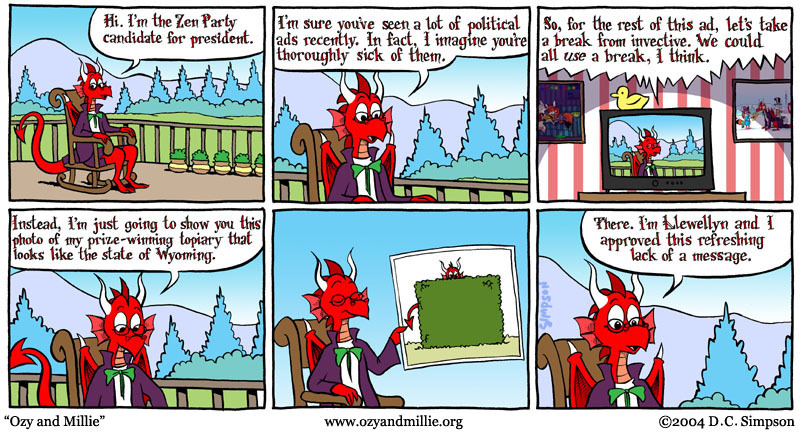 That green tie goes good with Llewellyn’s red scales.